This is a great way to declutter your home, office, or rental space, without doing the grunt work on your own. Since the furniture (or the proceeds from it) also go to a great cause, you can rest assured that you’re giving back while making your space more comfortable and welcoming. The National Furniture Bank Association (NFBA) donates furniture to more than 100,000 families each year, throughout the U.S. and Canada. While the NFBA offers a list of local donation centers scattered throughout the country, many regional centers offer in-home pickup, which means they’ll come to your place and pick the furniture up for you. Be advised that there are some parameters on the type of furniture they’ll accept: the organization takes gently used furniture and household goods, including child- and adult-sized mattresses, tables, chairs, couches, and kitchenware. What is “Good” Donation Quality? A note on donation terms, here. Each charity listed on this document accepts materials that are in good condition. This means the item is intact, with few stains, tears, or cosmetic damage that would hamper its use. If you have additional questions about donation quality ratings, contact the charity you’re interested in working with. They’ll be able to give you more information about what constitutes “good” condition, and what falls outside that boundary. The Vietnam Veterans of America (VVA) charity sells lightly-used, donated items to fund programs directed at helping veterans. A popular charity among people who want to donate items, VVA accepts a wide assortment of furniture and other household items, and will also pick up donations from your house. Unlike many other charities, you don’t actually have to be at your place of residence when the moving truck arrives, and can easily schedule a pick-up through the VVA donation website. Donation Town is a unique organization: a network of local charities, this web works together to offer furniture pick up in communities throughout the country. Furniture removal is free with the charity. Visit their website to see an extensive list of hundreds of different charities, complete with details about which local nonprofits accept and pick-up donated furniture. Like the VVA, you can also schedule donations online. Goodwill is one of the best-known charities in the U.S. Designed to help low- and no-income heads of household locate and secure fulfilling work, Goodwill provides various work-training assistance programs, connections with homeless shelters, and other forms of temporary assistance designed to help impoverished families. The organization accepts used furniture and a selection of other household goods, including kitchen items and bedding. Donated items go to resale stores, where the proceeds go to benefit the Goodwill charity. If you’re interested in securing furniture pick-up through Goodwill, use the Goodwill Locator to find a drop-off center near you. Some stores may also pick-up donated furniture, depending on their capabilities. The Salvation Army accepts donations of household items and sends them directly to Salvation Army resale stores. Aside from that, the charity uses furniture donations to furnish homeless shelters around the country, which many people appreciate about the charity. The organization accepts household items in good and acceptable condition. To learn more and locate a drop-off center, check the Salvation Army website. Junk removal can be a tough process, but knowing which charities offer furniture pick-up is a major perk. 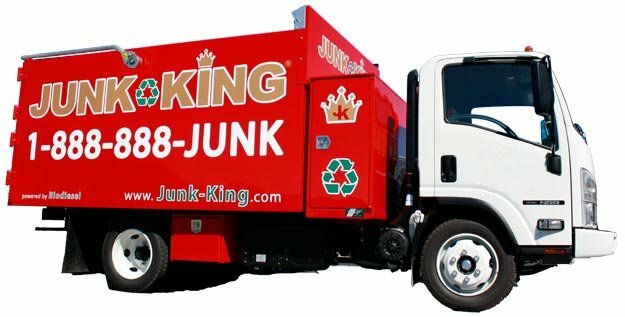 If you’ve got additional junk you don’t know how to handle, contact Junk King. 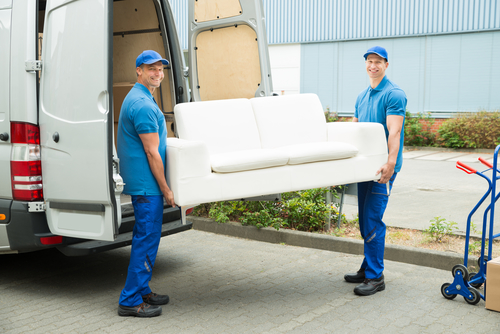 We’re a local, nationally-recognized junk removal service that handles a variety of items. Offering large trucks, full-service junk removal, a focus on recycling and reusing materials whenever possible, and the #1 rated junk removal service, we’re here to help you go junk-free. Contact us today to learn more, or to schedule your free, on-site estimate.